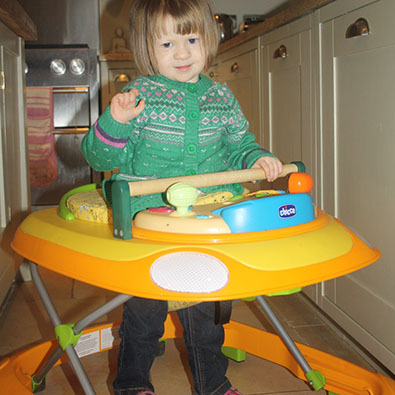 “Amber was diagnosed with developmental delay, low muscle tone and hypermobility. As a result, we needed to work on improving the strength in her muscles and give her the confi dence to walk. 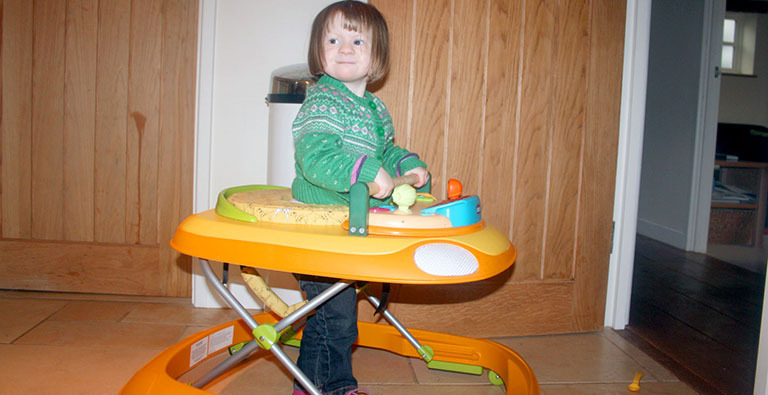 Amber loved moving around in her car walker, but it gave her far too much support and enabled her to sit down whilst moving.